Bapu’s ideas continue to inspire us and LMRC is the right platform to reflect his ideas among the fellow citizens. 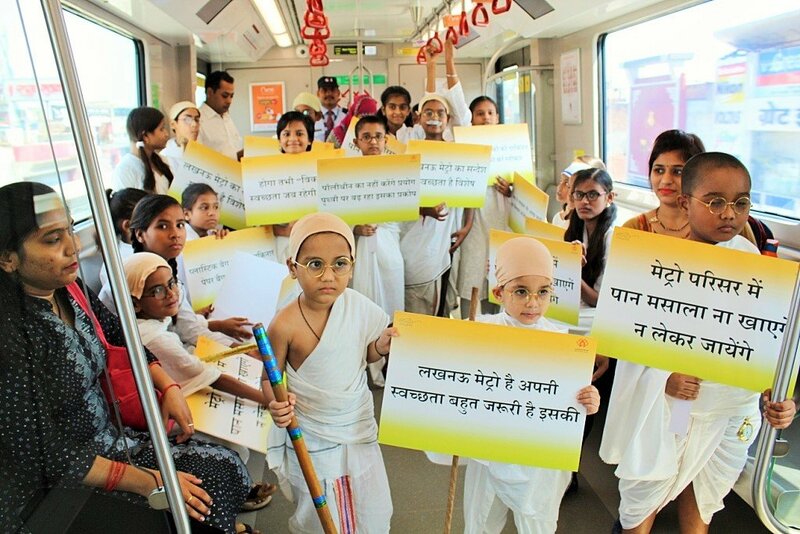 On the occasion, Shri Kumar Keshav, Managing Director/Lucknow Metro Rail Corporation (LMRC) said,” Bapu’s messages in the field of cleanliness and hygiene were showcased by school students through sketching/drawing and fancy dress in Metro train. 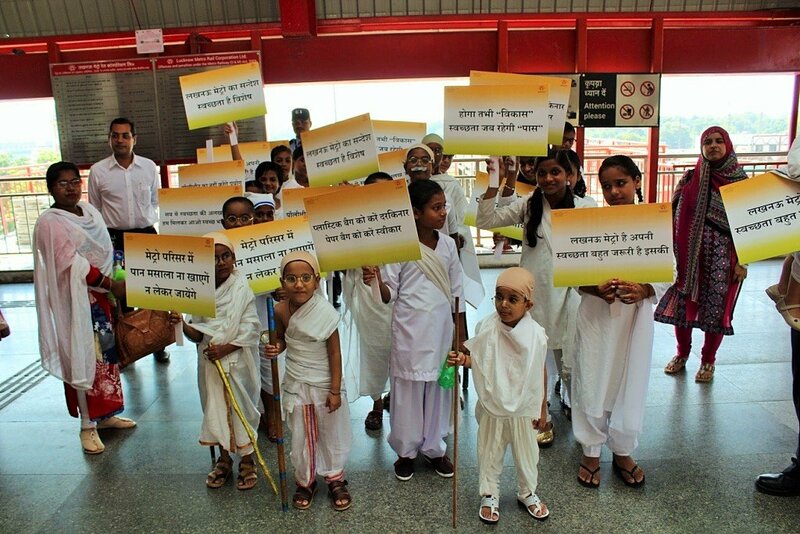 Bapu’s ideas continue to inspire us and LMRC is the right platform to reflect his ideas among the fellow citizens.” “LMRC is a role model of an eco-friendly and environmentally sustainable mode of Mass Rapid Transportation System(MRTS) and will prove to be the lifeline of the city in the long run.”, he added. 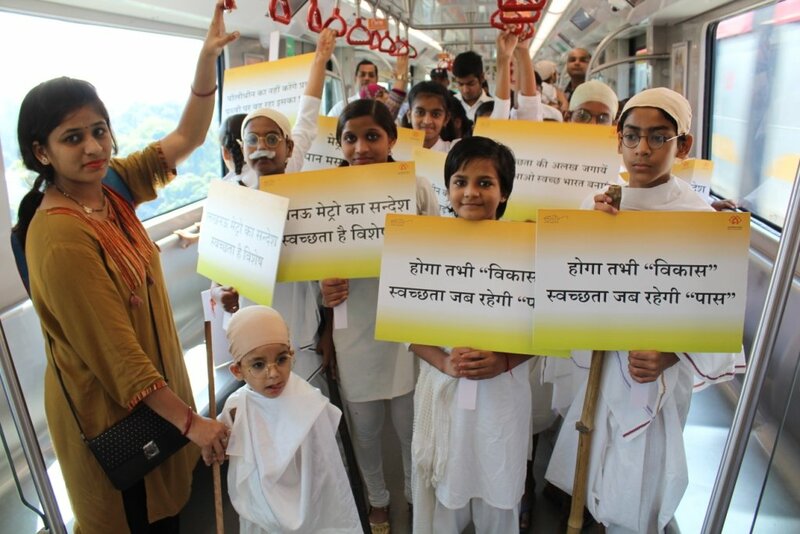 A group of students from the Career Academy and the wards of Lucknow Metro officials dressed in the attire of Mahatma Gandhi also travelled in Metro train between Charbagh and Transport Nagar to propagate the message “Swachta Hee Sewa” through Gandhiji’s character.